Home › Analysis › Leicester’s Riyad Mahrez, Who Are You ? 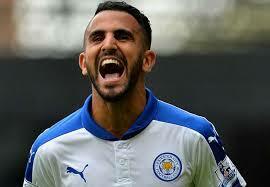 Leicester’s Riyad Mahrez, Who Are You ? “Riyad Marhez ? Since when a obscur footballer from Leicester is good enough to sign with Olympique de Marseille?” This was Marseilles’ president Labrune answer to one of the french club’s scout proposition some months ago, during the 2015 Summer Window. Since then, how many changes in the life of that “obscure” Algerian player ! President Labrune should take more care about his” footbalistic “opinions ! Finally his skills found several suitors so that the youngster could join CFA side Quimper (2009) and signing a year later to FC Le Havre, turning out offers from French leading clubs like Paris st Germain and Olympique de Marseille, enticed as he was by Normandy’s club well-known Youth Academy; after all, someone called Paul Pogba, had led the way ! On January 2014, he signed to English Championship club, Leicester City a three-and-a-half year contract, despite his friends and family doubts about that move, for English football’s physical nature wasn’t compatible with the players’ game. 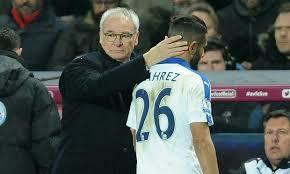 Mahrez made several substitute appearances before manager Nigel Forest gave him his first cap in February 2014. Leicester won the title and returned to EPL for the first time in ten years. The Algerian winger played his first Premiere League game on 16 August 2014, scored his first goal vs Burnley (4/10/2014) and ended the season with four goals and three assists from 30 appearances. In November 2013, the player chose Algeria over France and made his international début for the Dessert Foxes as a starter in a pre-world Cup friendly match against Armenia. On October 2014 he scored his first international goal vs Malawi (Africa Cup). He also featured in every Cup game untill Algeria reached the competition’s quarter-finals. The story’s suite is already history; Leicester is this season’s success story and Mahrez is one of the leading actors with his teammate Jamie Vardy. Leicester did a good job signing this player for only 450.000 Euros; he’s worth many multiples of that now !